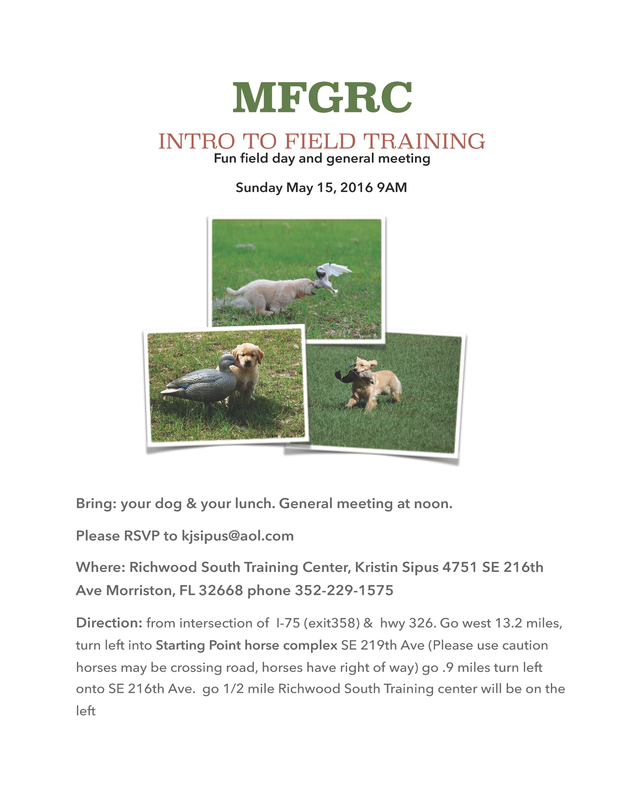 Our next event will be a Fun Field Day and General Meeting this Sunday May 15th at 9am. Even if you’re not currently running your dogs in hunt tests or field trials, it’s a great opportunity to experience our goldens enjoying their natural instincts. Come join us for a day of golden fun and human camaraderie!